Start your own fundraiser for ELCA World Hunger. Your gifts to ELCA World Hunger support programs in nearly 60 countries. Through your gifts to ELCA World Hunger, we work for a world in which all are fed. Team ELCA makes it easy for you to fundraise with your idea, your page and your supporters. Select the "Get Started" button to start your own fundraiser or join an existing team. What exactly? It's up to you. After living as refugees for 18 years, the Kafley family gets a fresh start in Chicago, Ill. 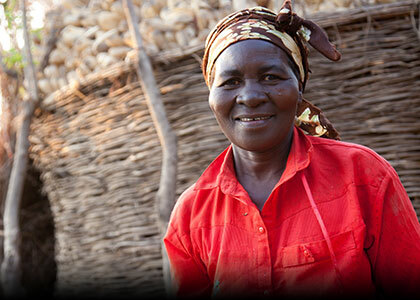 In Malawi, gifts of livestock and agricultural training help the Lingson family put a stop to hunger and poverty. 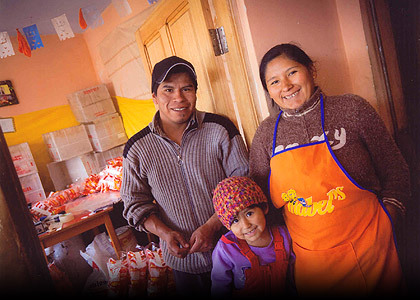 A microloan helps Virginia expand her small business and provide for her family in La Paz, Bolivia.